The women Neapolitan scene in the middle of the nineteenth century was characterized by the presence of Paolina Caraven de la Ferronays and Teresa Filangieri – this one a descendent of the Normand nobles being a daughter of General Carlo Filangieri and wife of Duke of Roccapiedimonte. Teresa Filangieri and Caraven allocated the income from theatre shows for charity purposes, engaged themselves in gathering youths from the streets, teaching them the bases of writing and literature, educating them in their own homes as domestic servants and gardeners, allowing them a more respectable future. In 1861 Teresa Filangieri lost her daughter Lina and later she was appointed patron of the Strachan Institute – a college for sightless girls. In 1873, during the cholera outbreak she was charged with the organization of cooking kitchens free of charge. In 1880 she organized the first pediatric/surgical hospital in Italy, named after her dead daughter. Beside being a laic founder of charity enterprises, T. Filangieri was a writer too and she died in 1909. An important figure was Father Francis from Casoria, born in 1814, after his priest ordination he dedicated himself to infirm people and he followed Matteo Ripa’s example, who founded the college for the education of Chinese and orient clergymen, becoming, after the Italy Unit, the “Asian College” and in 1888 “Orient Institute”, the actual University. In 1854 he dedicated himself to the rescue of the African children sold like slaves. Those children were taken into a monastery and educated in a Christian way. In this enterprise Father Francis from Casoria involved King Frederic II too, who expropriated the building near the convent thus allowing its enlargement. 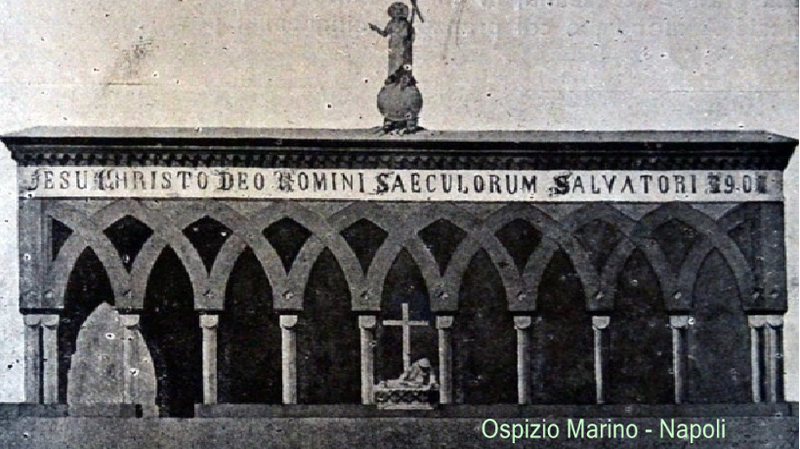 Among his other foundations we remember the “Hostel Marino” in Via Posillipo, the “Institute for deaf and dumb” and the Order of Bigi Friars and Elizabeth Nuns. In 1871 Father Francis from Casoria was called to Assisi for the foundation of the “Seraphic Institute” for sightless and deaf-dumb people, where he worked as manager till 1881. 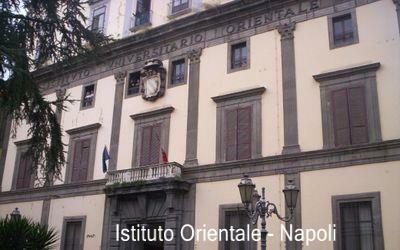 – Education actions for deaf-dumb people started in Naples in 1788 with a school lead by Abbot Benedetto Cozzolino, this was the first public school recognized in Italy. 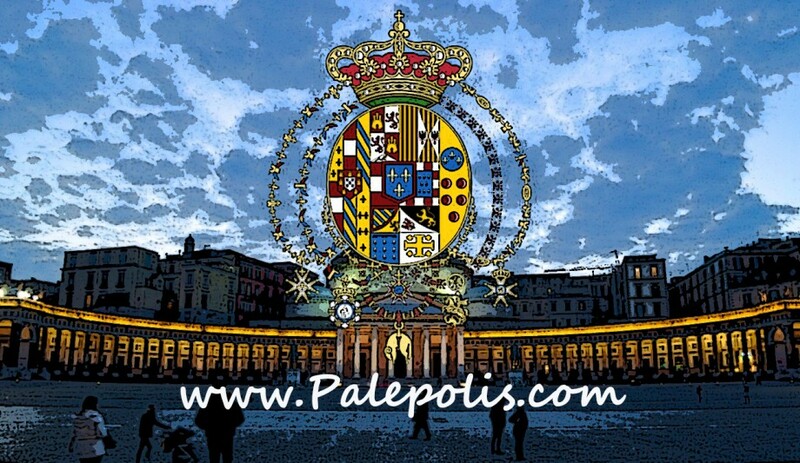 – In Italy school education for deaf-dumb people became compulsory in 1923. In 1885 Father Francis from Casoria died and was buried in the “Hostel Marino”. In 1993 Pope Johan Paul beatified him. A friend and disciple of Father Francis from Casoria was Caterina Volpicelli who in the middle of the XIX century founded a religious congregation not making compulsory the ceremony of taking the habit and open even to married women. Caterina Volpicelli was born in 1839, she received her education in the best Neapolitan schools and was a student of Leopoldo Rodinò – school of Basilio Puoti. In 1855 she kew Ludovico from Casoria uselessly trying to put her into any religious order. In 1864, according to the nuns tradition, she consecrated and dedicated herself to the prayer apostolate practice, such as a very common habit in France. Thus Volpicelli’s actions attracted new followers and caught the attention of the Holy Heart Nuns of Montluçon who considered the Volpicelli’s operating as a Neapolitan section of the French order. But that was opposed by Sisto Riario Sforza, Naples Archbishop, underlining the specific Neapolitan character of Volpicelli’s work. – Aggregated Maidservants – cooperating in the order mission, even being married. It was a congregation without a religious uniform receiving the Decretum Laudis from the Holy See in 1890. In 2001 Pope John Paul II beatified her. A friend of Ludovico from Casoria was Bartolo Longo, the founder of the Sanctuary Church of Valle Pompeii. Bartolo Longo was born in 1841 in the Province of Brindisi, he came to Naples to accomplish his law studies. The strong anticlericalism wide spread in the universities influenced a lot on Bartolo Longo. But due to friendship with good catholics he returned to a convinced christian life. Thanks to his being acquainted with Caterina Volpicelli he kew Ludovico from Casoria and Marianna Fernararo – widow of Count De Fusco and owner of many properties in the Pompeii valley. Bartolo Longo proposed himself as a teacher of the Countess’ children and as her properties administrator. They got married a few years later. The Pompej valley was in very bad and unhealthy conditions due to the overflowing of the river Sarno. Bartolo Longo decided to evangelize the peasants by the rosary practice. In 1875 Longo brought to Naples a picture of Madonna del Rosario ( Rosary Virgin picture ), which became a goal of pilgrimages due to its miracle qualities. 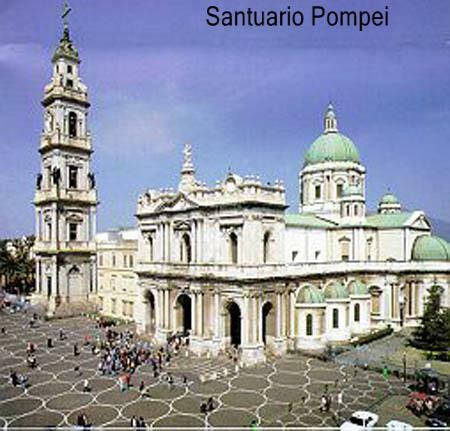 Its fame grew so large that it was necessary to build a new temple, the actual Pompeii Basilica . B.Longo died in 1926 and was beatified in 1980.